You can also customise this real leather desk accessory with a text engraving, or even your company’s logo. 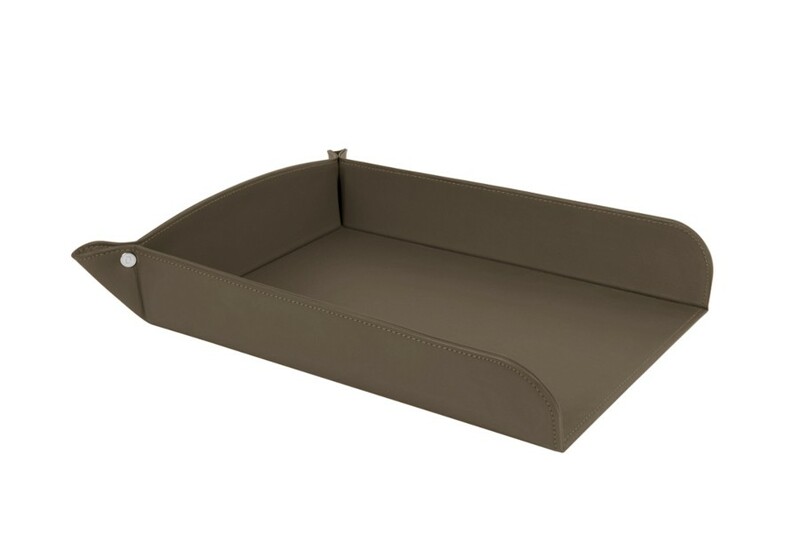 This A4 letter tray is perfect for storing your A4 documents and sheets of paper. 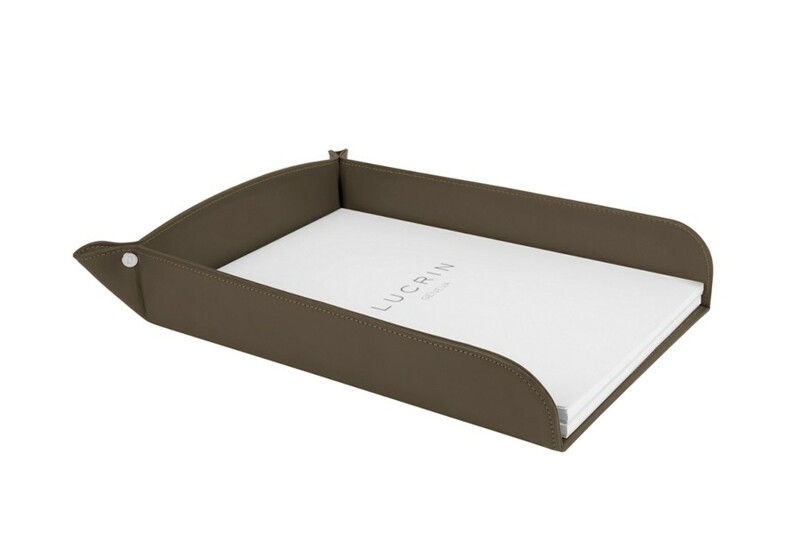 Gone are the days of disorganised papers at your home or office; this paper tray crafted entirely of natural leather is the solution. Two metallic rivets hold the corners of the letter tray. You can even match this desk accessory with a desk pad and pen holder for a customised leather-adorned desk.